Less than one in 10 people keep their important documents in a storage facility, while over half use unsuitable conditions that ‘could see files begin deteriorating in just one week’. In the right conditions, documents can last for centuries, but many contemporary files are decaying much more quickly. Research shows that some 50-year-old paper is already in worse condition than records from 500 years ago due to factors including the composition of modern paper, production processes and pollutants in the atmosphere. Emma Dadson, key account director from Harwell Restoration, said: “To protect documents from deteriorating, keep the environment clean, dry, with a moderate temperate, secure and pest-free. Research shows that if the humidity in storage environments is higher than 65%, mould growth can occur, but if it is lower than 40%, the documents can become dry and brittle. A recent survey by Russell Richardson found that 16.9% of people store documents in boxes and 21.2% use folders or ring binders as storage. These are highly effective methods of protecting records from dust, which brings danger including insect infestations and chemical deterioration. However, standard cardboard boxes and file folders are only suitable for temporary packaging. The National Archives recommends using archival boxes and files for long-term storage, and to ensure boxes are labelled clearly and never overfilled. Jonathan said: “If the documents need to be accessed often, it is important the boxes are not too heavy or stacked too high, as this can lead to further damage. Russell Richardson’s survey also discovered that almost one in 20 (4.6%) people store important records in a tray on their desk, while 16.7% use drawers as a storage space. Jonathan continued: “When used for storage, it is important that drawers open and close easily and that they aren’t overfilled, as this can lead to damage. “Documents stored on a tray may be exposed to light, which can cause ink to fade and cause paper to whiten or discolour, due to its bleaching effect. The files will also be vulnerable to dust. Some storage facilities use industrial safety systems to preserve documents. 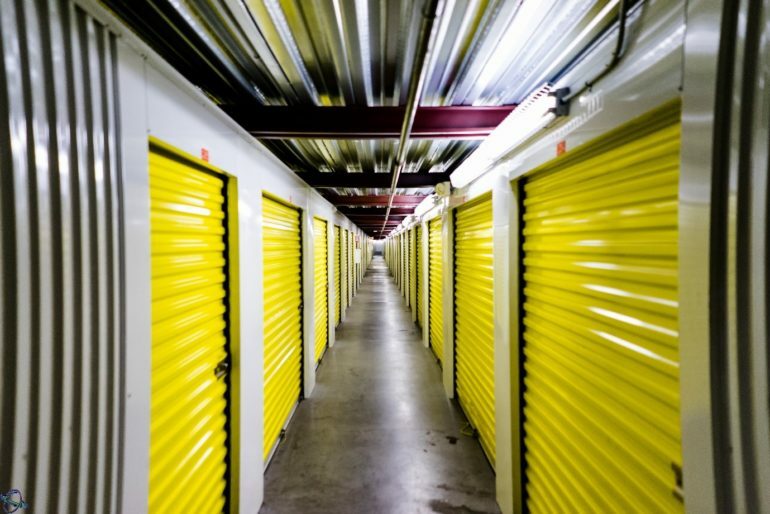 “Storage facilities dedicated to documents have risk management policies in place to ensure that records will be safe in their care. This may include environmental control to ensure humidity and temperature stay low,” Emma added.